Santiago – Hostels in Santiago. Maps for Santiago, Photos and Reviews for each hostel in Santiago. Looking for a hostel in Santiago? Look no further, all the good deals in Santiago are on Dorms.com. Like thousands of other people every month, book your hostel securely at the best price in all neighbourhoods of Santiago. 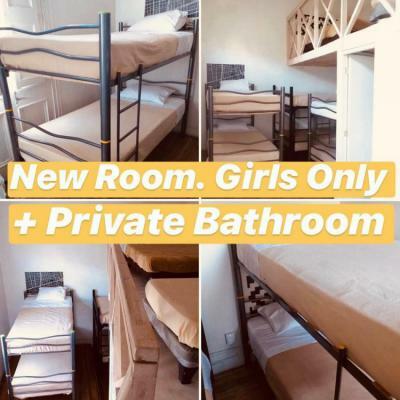 On this site, you can easily find a hostel downtown, in a trendy neighbourhood; a hostel in the student- university district, close to bus or train stations, airports or major attractions of Santiago. Front of 1 Hostal Galeria is located in the very beautiful Theater Parque Cousiño. To 6 min of way this located great Park O'higgins (Aquamundo Aquarium, Indoor swimming pool, Patinodrome). 10 minutes away is the largest stadium in Santiago, Movistar Arena. 5 min. Walking to Av. Manuel Antonio Mata where there are many restaurants and small shops. To 2 metro stations you will find the Cultural Center Palacio Moneda and Municipal Theater of Santiago. Everything you need is within a walking distance: restaurants, banks, laundry, pubs, museums, Santa Lucía's Hill, the big handy-craft market (10 minutes), supermarket, pharmacies, buses, metro station, hospital, and others. I met some friendly backpackers in this hostel and it close to the subway. This hostel in Santiago has a great kitchen and the staff was very helpful. The hostel is located in Barrio Brasil a patrimonial neighborhood that has everything, pubs, restaurantes, liquor stores, museums, parks, bike paths, markets, drugstore, subway station, etc. 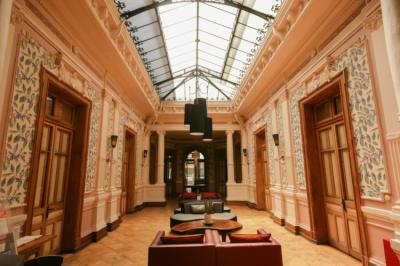 just steps from government palace, main square and the main tourist attractions of Santiago. They all behaved like a 7 ... I take off my hat before all the officials ... I received a warm welcome ... Very clear the way of hosting and future recollections ... All very quiet a familiar atmosphere all very well ... Room comfortable !! Breakfast nothing to envy to 5 star hotels they spent all esquicito! Je recommande très chaleureusement cette auberge ! J’y ai passé 5 jours très sympathiques, le personnel est vraiment le gros plus de l’auberge, adorables, attentionnés, prévenants, curieux des gens qu’ils accueillent... les chambres sont très propres et correctes, les lits sont vraiment biens, la cuisine et la douche aussi... la seule chose qu’il manque est peut être un coin plus collectif mais la gentillesse du personnel le compense largement! 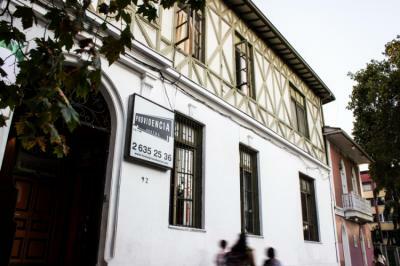 The hostel is located in the center of Santiago, 10-15 minutes walk from Plaza de Armas. The staff is very friendly, the atmosphere is young and friendly and the included breakfast is plentiful. The shower and toilet are clean. The hostel looks very brand new with modern facilities and a wide array of breakfast. The mattress is comfortable and they have a well-equipped kitchen for guests to use. Close to the supermarket and city center. Showers are decent most of the time and WiFi is fast, when you can find it. Large and spacious both in communal areas and in the dormitories. The property itself is beautiful with high ceilings and loads of original features like ornate plaster work, wooded floors and glass light wells. Good location and large comfortable rooms. Had that NY warehouse feel about it with floorboards through out the hostel. 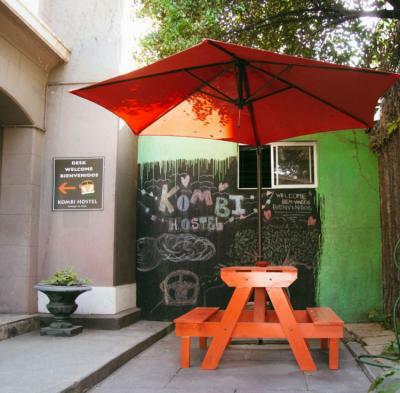 Kombi hostel is located only 600m from Baquedano metro station. San Cristobal park and Pablo Neruda's house are approximately 400 m from Kombi Hostel. 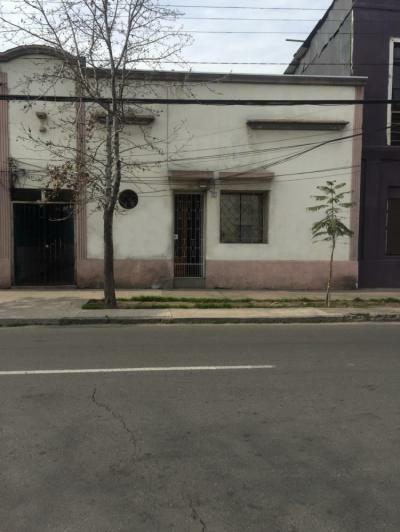 Just 5-minute walking from Baquedano metro station and Plaza Italia, the heart of Santiago. Also near to Bellavista, the best place to go out in the night, with restaurants and bars. Just behind us there is the Bustamante Park and 7-minute walking you will find Forestal Park, the biggest of the city. Enjoyed my week stay!It's not expensive, you have everything you need, staff are uber friendly, and activities are nice too. You should stay here! The room is nice and clean, with free breakfast (nothing special). Hammocks and a nice patio next to the front garden. Staff and other guests are wonderful. Kitchen was nice and the staff friendly. 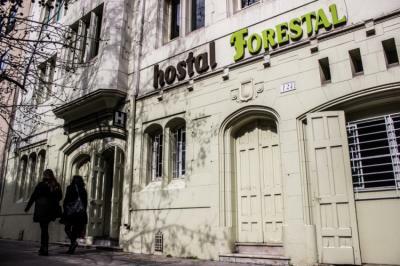 Hostel well located in Santiago. close to the bars and restaurants.